Whether you’re a cat or dog lover, we can both agree that our pets bring us infinite amounts of joy coupled with a sliver (or a lot) of trouble. 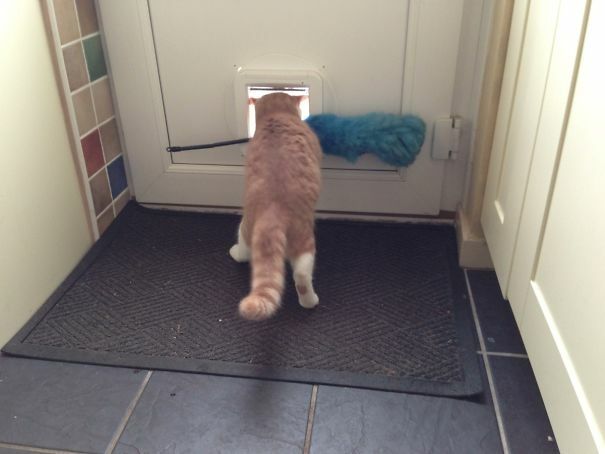 Both dogs and cats can get themselves in to some pretty mischievous situations. 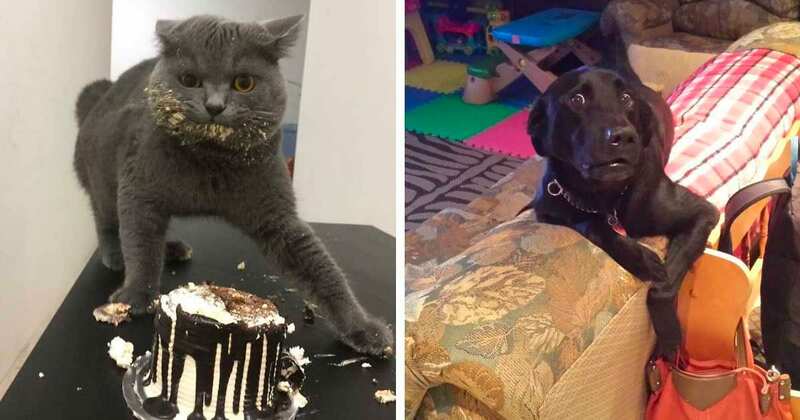 However, as you can blatantly see in the pictures below, when being caught paw-handed in the middle of their wrong doings, dogs are clearly remorseful and cats just respond with a devious glare. All in all, the love between a pet and their human is worth any amount of trouble. 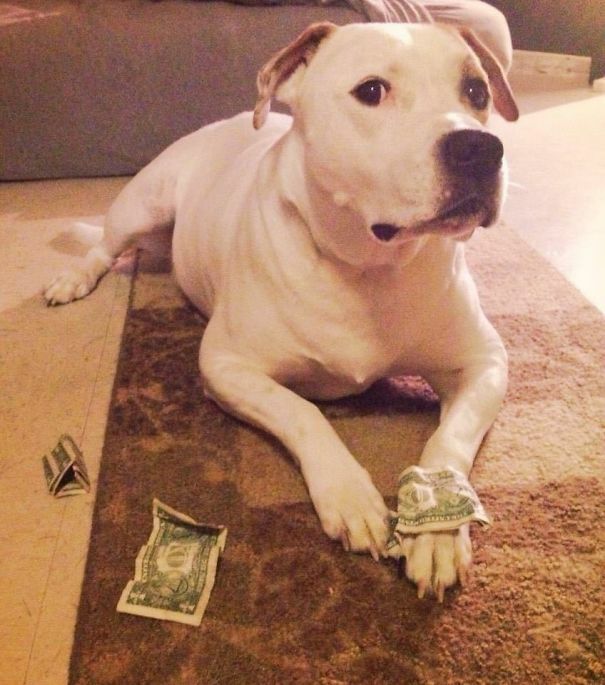 Here are 22 times troublesome (and lovable) pets were caught stealing. 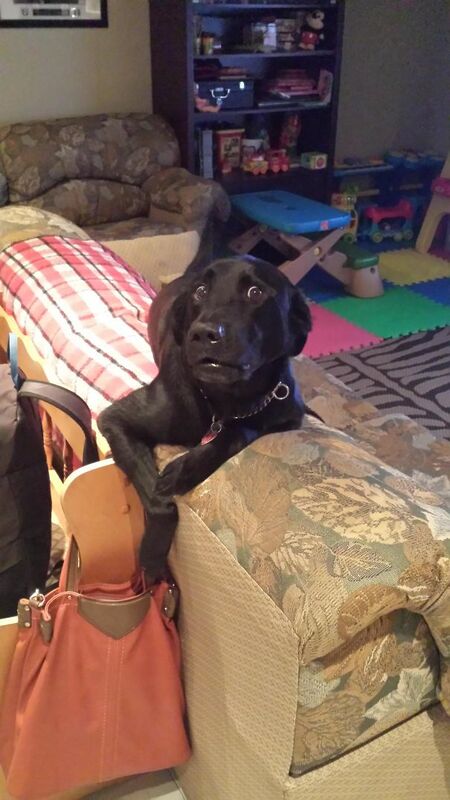 #1 This dog is pawing through mama’s purse for some scooby-snacks. 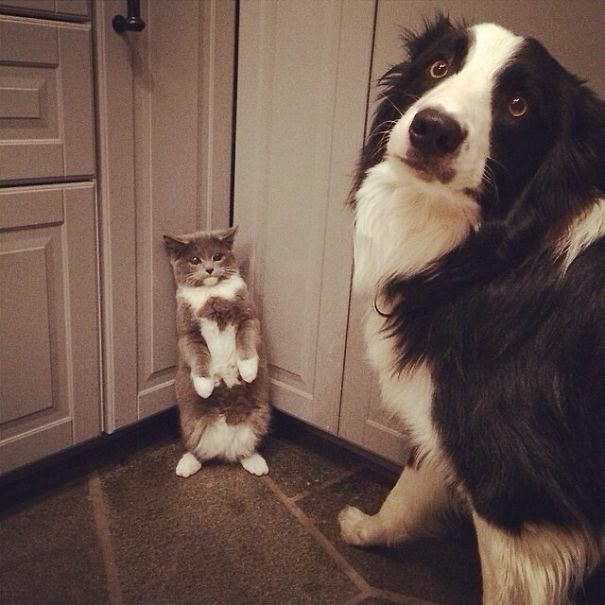 #2 We’re not sure what this unlikely duo has been up to but they look 100% guilty! #3 Sausage dogs is the only kind of “dog” this devious tabby is willing to hug. 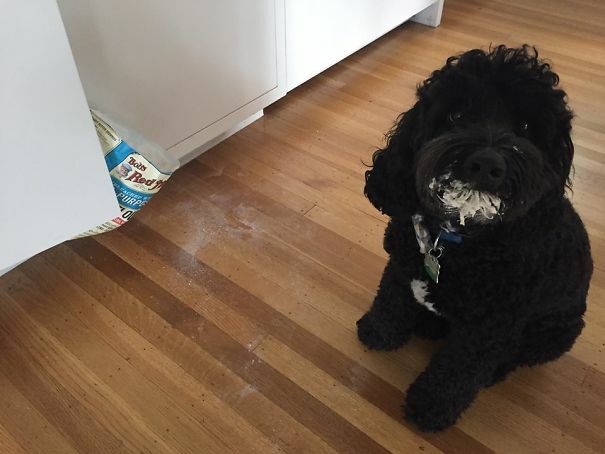 #4 Hmm… we wonder who got their snout in the flour mix? 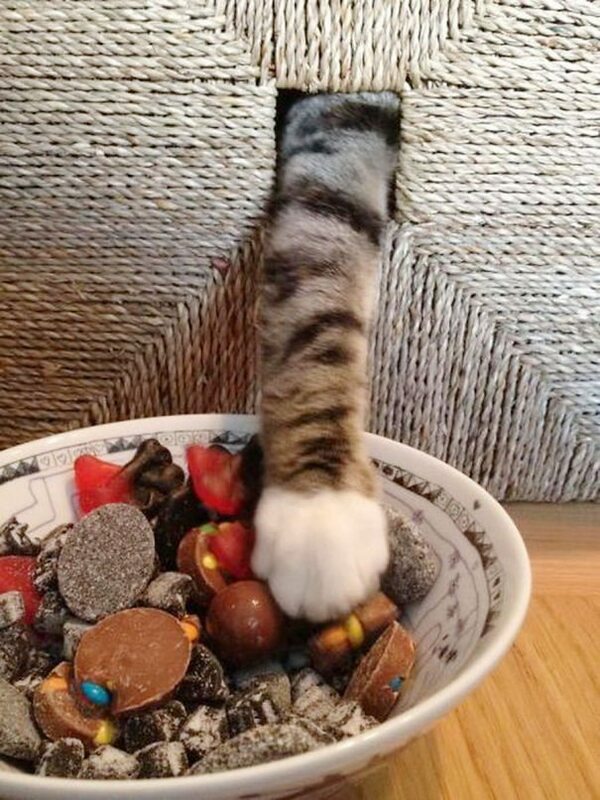 #5 Snack bowl, fish bowl– it’s all the same for a cat. 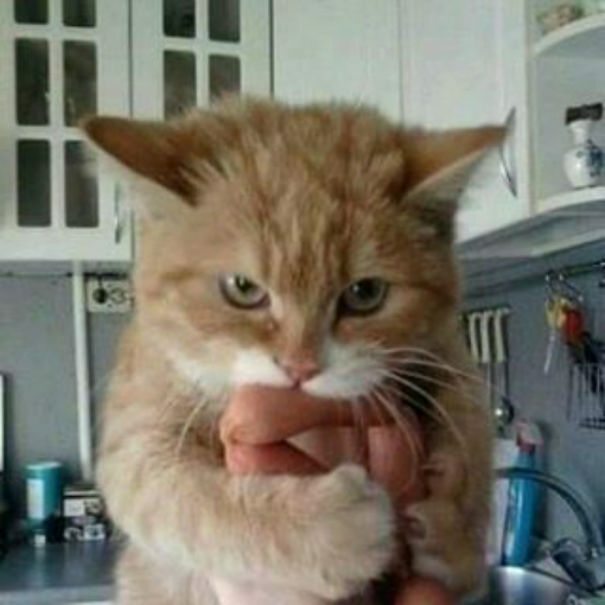 #6 This meat sandwich is purr-fect! 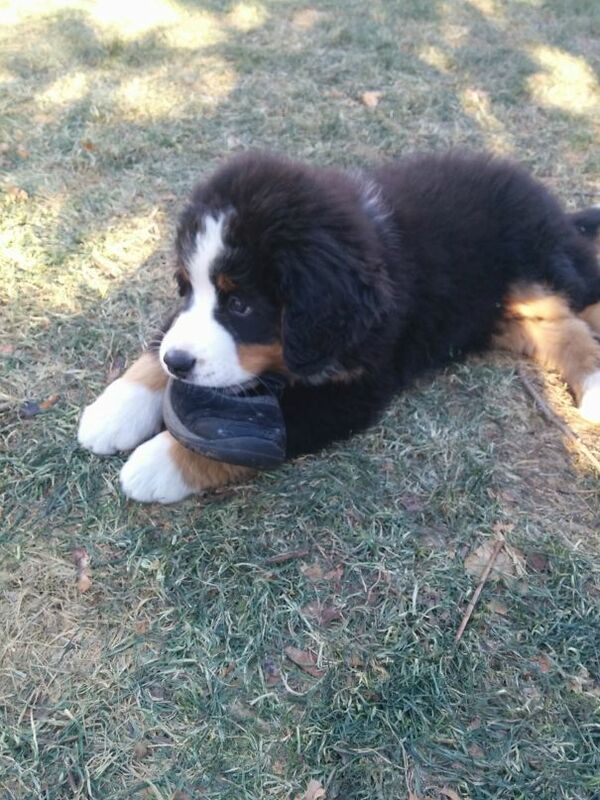 #7 It’s this puppy’s first time stealing a shoe! 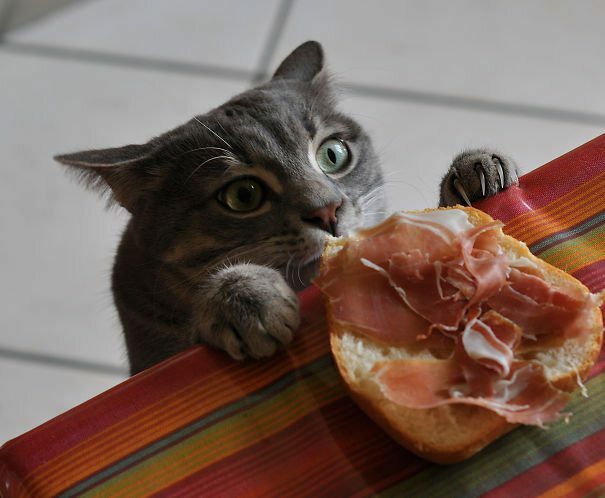 #8 That moment you get caught breaking your “healthy” diet rules. 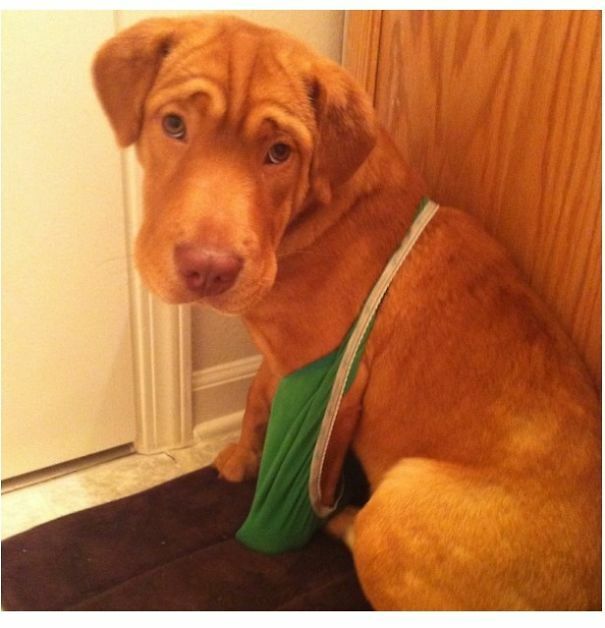 #9 BREAKING NEWS: Underwear Bandit caught paw-handed! #10 Cat: It’s like stealing candy from a baby. #11 This little terrier walks and talks a big game. 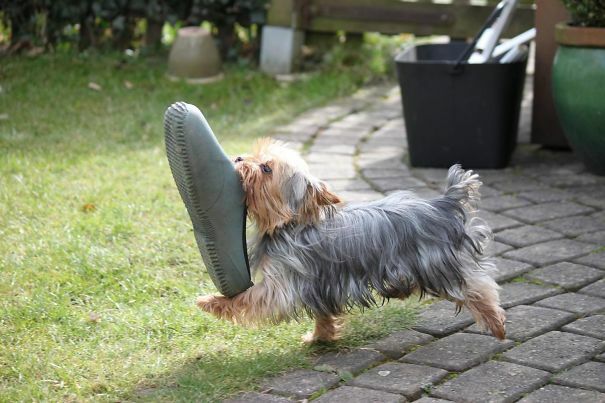 He’s been stealing garden shoes since 2010. #12 This cat doesn’t care who’s birthday it is. 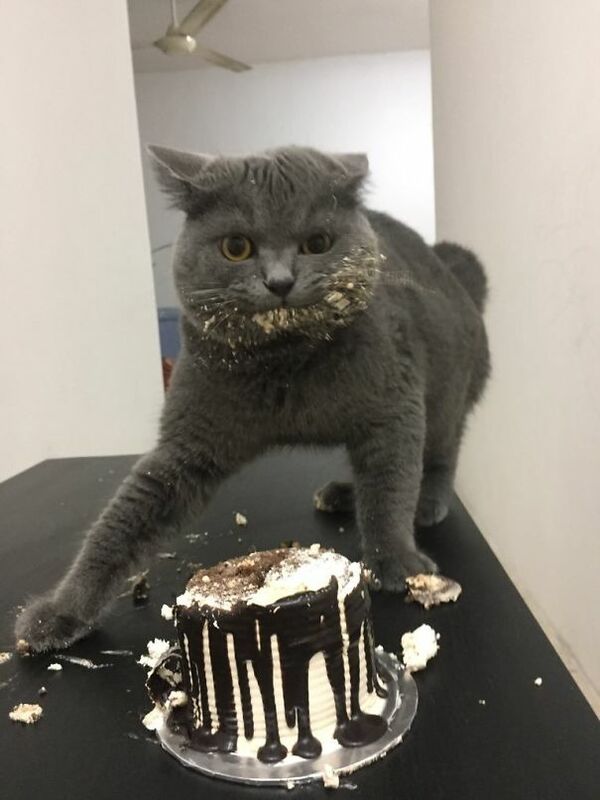 He clearly has no regrets for stuffing his face with cake. 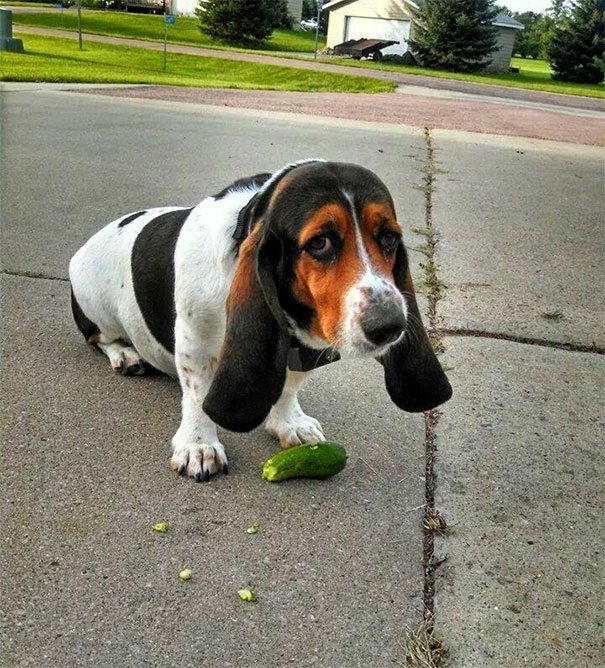 #13 Meet Duffy, the cucumber stealing Bassett Hound. 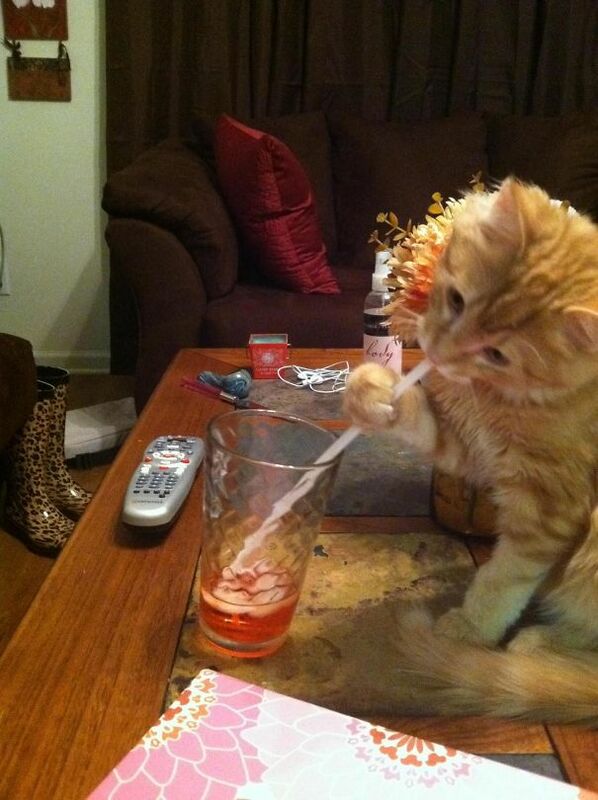 #14 Stealing sips from someone’s drink is not this sneaky orange tabby’s first rodeo. 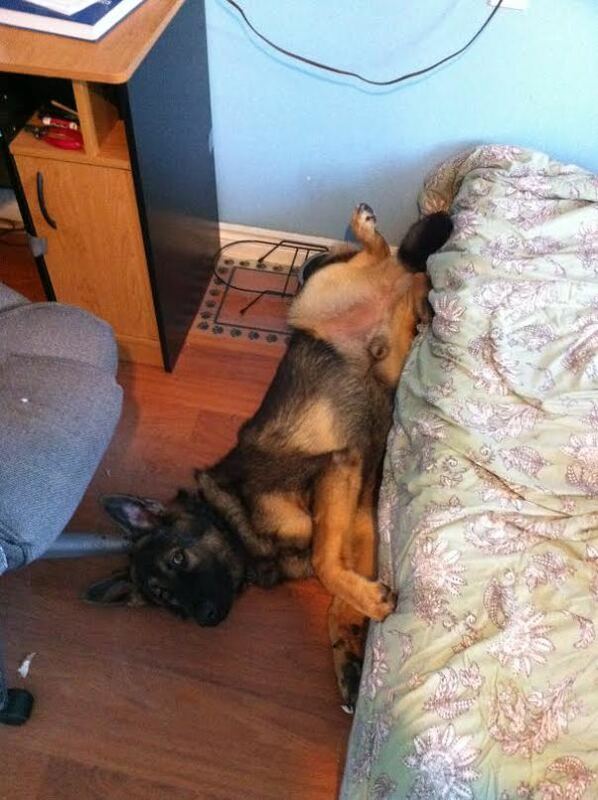 #15 This German cutie knows very well that he’s forbidden to lounge on his human’s bed. When he was caught doing so, he rolled off and tried to act all casual about it. #16 This cat is out to get her human! The owner had been missing thumb tacks from his office and discovering them hidden in his shoe. 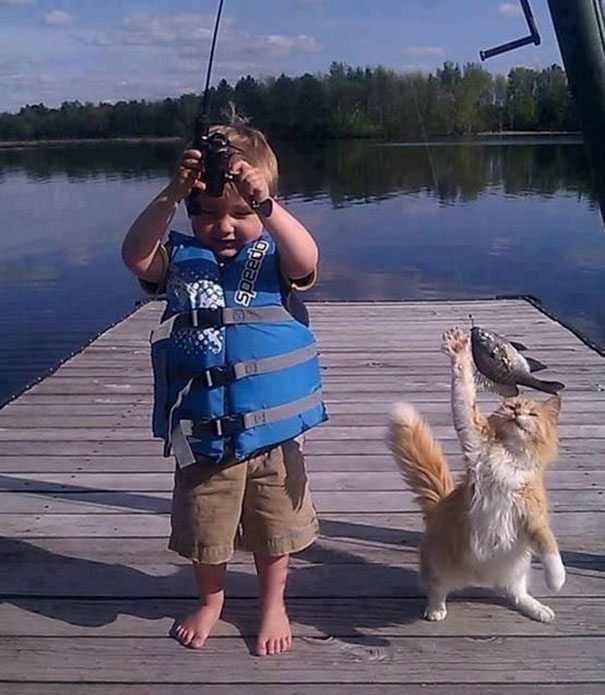 It seems like the cat and human need some more quality bonding time together. 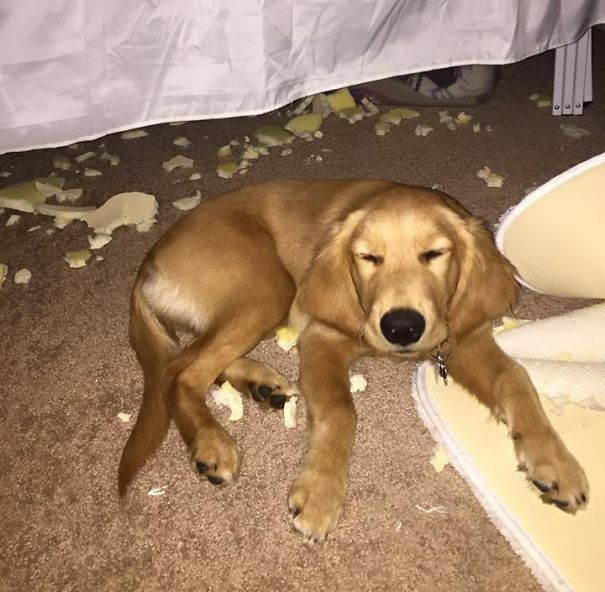 #17 Puppy: Maybe if I close my eyes, my human won’t be able to see me or the mess! #18 We can’t blame the tabby, pancakes are the best! #19 Stick your paws up, doggo! 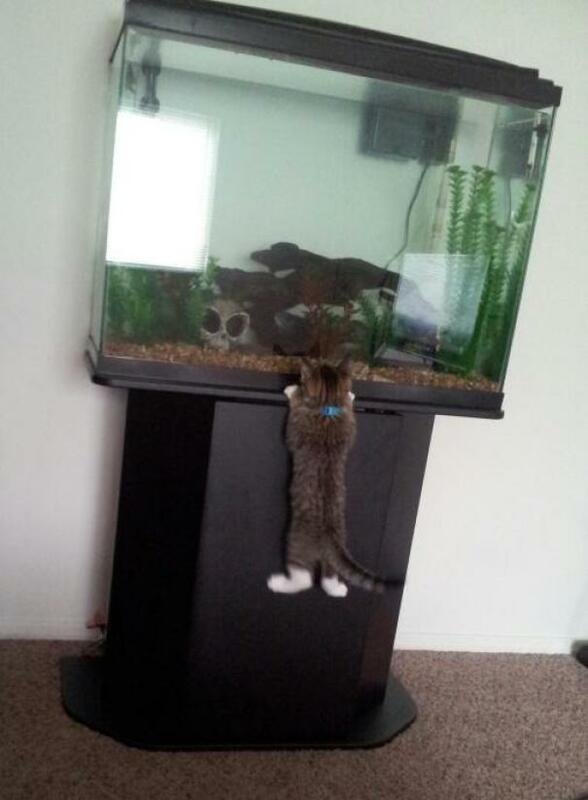 #20 Dream big, kitty. DREAM BIG. 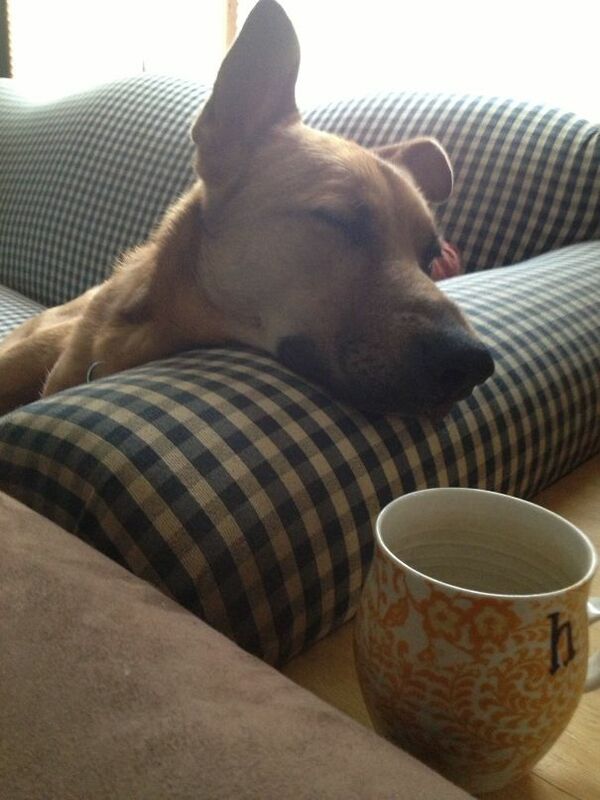 #21 This floppy eared canine is trying to fool his human by pretending to sleep. He’s trying to get in licks-length of that cup of delicious goodness. #22 This cat is a cute klepto, just not a very bright one.